If you want to read a review about who this album sounds like, then go elsewhere – because although it’s easy to compare SCCC to Radiohead, especially when listening to songs like ‘The Borough’, the comparison is disingenuous, because when reviewers compare bands in this way, what they really mean is this: a group of good musicians who aren’t afraid to push their boundaries, have created a record that deviates from the accepted norms of songwriting to great and stimulating effect. Many bands stumble across a nice sound – Terrorvision’s ability to chuck out cheery, fuzzy riffs, Hot Chip’s tendency to throw trippy vocals on top of a foot-stomping groove, Arctic Monkey’s rumbling, tom-driven beats, Oceansize’s dark spaciness, with their guitars and vocals joined at the hip. All of these are effective musical devices that most bands only find one of – and stick with, simply because they work. SCCC, like Radiohead, use a multitude of them – like any great craftsman does – as tools with which to create works of musical art. 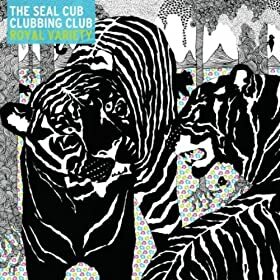 One could just as easily compare SCCC with Jeff Buckley, John Butler, Fleet Foxes, Spacehog or The Mars Volta – but this misses the point, because it doesn’t tell you how SCCC actually sound, it just gives you a list of ‘if you like ‘X’ you might like this’. Well – if you like music, you might like SCCC, how’s that? This album is not perfect – it’s a tad immature, and despite the dancy feel of a good few of the tracks, it lacks a real jump-up floor-filler. That doesn’t really matter to me – this is a bedroom album, not a club one. I wouldn’t accept the criticism that it’s too diverse to be a good album – it’s like a year – it finishes more or less as it starts, and it contains a range of emotions and atmospheres that makes it somehow complete. ‘Old World’ is a gentle, but fantastically produced introduction; ‘Everybody’s in the Same Boat’ sounds like Outkast gone punk; ‘Supercars‘ is filled with great riffing; ‘Heaven can Wait’ is a soundtrack for a stoned summer’s day; ‘Free Swim’ shows indie how to get dirty; and ‘Made for Magic’ goes a step further with its rapid-fire lyrics. ‘Lapwing’ is proper dirty electro – like a Dalek complaining about a bad day at work. All in all, Royal Variety is like experiencing the late 90’s on drugs powerful enough to compress the whole experience in to less than an hour. I’ll be coming back for more of this album for a while because of how much it manages to cram into its thirteen tracks. Basically, what all the glowing comparisons are trying to say is that here is a band with potential to continue producing surprising and innovative records for the foreseeable future, rather than being a flavour of the month or a one-trick-pony. SCCC throw musical styles together with gay abandon – but only when it sounds good. In the end, you can’t nail this album down as being one thing or the other – which is good. Damn good. After all, who wants to listen to more of the same?